That title is kind of an inside joke. We hosted Christmas with my side of the family at our house this year. Both of my brothers live in the Chicago suburbs – not so far away that the trip is difficult, but far enough away that our busy lives make us visit less often than we should. Boo to that because I have 3 of the most kind, funny, beautiful nieces EVAH and they’ve done gone growed up behind my back. Not so growed up, though, that they’re too cool for some silly photo booth dress up. After raiding my prop stash and taking some very funny pictures, I had them pose for this very sweet sisters shot. 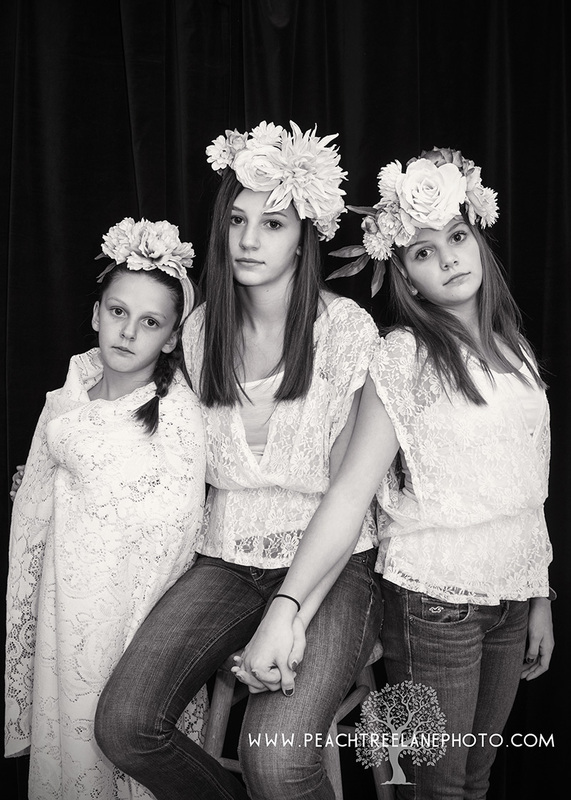 This entry was posted in flowers, siblings and tagged child photography, east peoria photographer, family photography, flower crowns, germantown hills photography, metamora il photography, peoria illinois photographer, siblings, sisters.